This cell references a sheet, why I can’t find the sheet? Is it possible to unhide multiple sheets at the same time? So, let’s take a look the process of hiding, unhiding and making sheets invisible. You are probably familiar with the process of hiding and unhiding sheets. 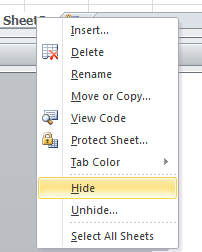 Right-click the tab at the bottom and select “Hide” to hide a sheet. To unhide right click on a worksheet tab at the bottom, select Unhide from the menu. A list of hidden sheets will appear, click the sheet you wish to unhide, then click OK. 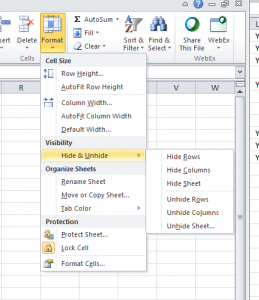 If you want to hide multiple sheets you can use Shift or Ctrl to select a range of sheets or specific sheets. Then right-click on one of the selected tabs and select Hide. However, unhiding multiple sheets isn’t so easy. 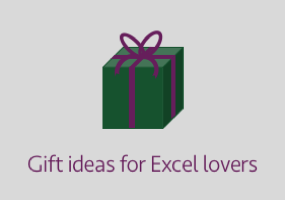 In fact, there isn’t a method in Excel to do it. So that means you have to go through one by one, or you can use a little bit of VBA. If you wanted to adapt the code to hide worksheets you could replace the following code. As there must be at least one visible worksheet, there is an Error Handler, so that the last visible sheet will not be hidden. 'at least one visible sheet. The code will hide all except the last sheet. 'active workbook and set it to visible. 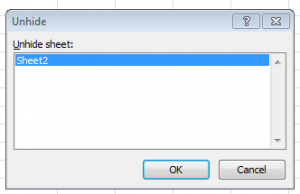 It is possible to have sheets which are neither visible nor hidden, these sheets are invisible (or “very hidden” as Excel calls it). This is the reason my colleague had a formula reference to a sheet which they couldn’t find, the sheet was invisible. 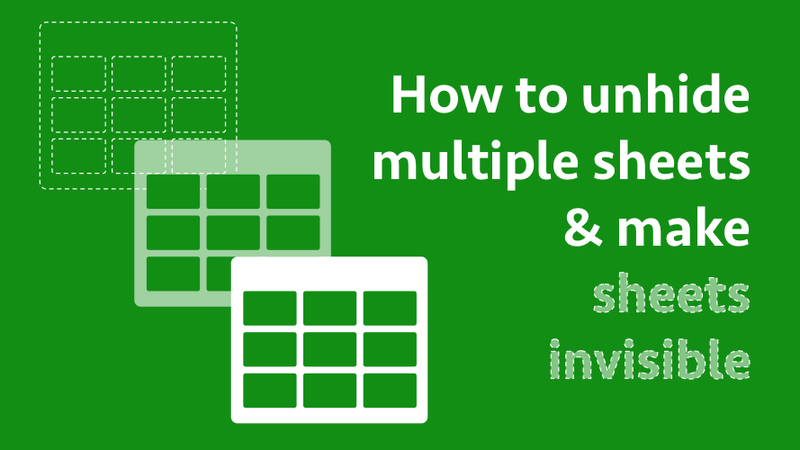 Worksheets in Excel can have 3 states of visibility: Visible, Hidden and Very Hidden. 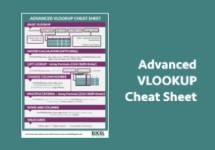 If you know the names of your worksheets you can change their visibility status by using their individual sheet names in the VBA code.